Lemon Meringue Pie was always my childhood favourite dessert. Mums recipe was a little cut out one from some out dated ’70’s magazine and I thought it was heaven in a pie dish. Actually I still think its heaven in a pie dish. 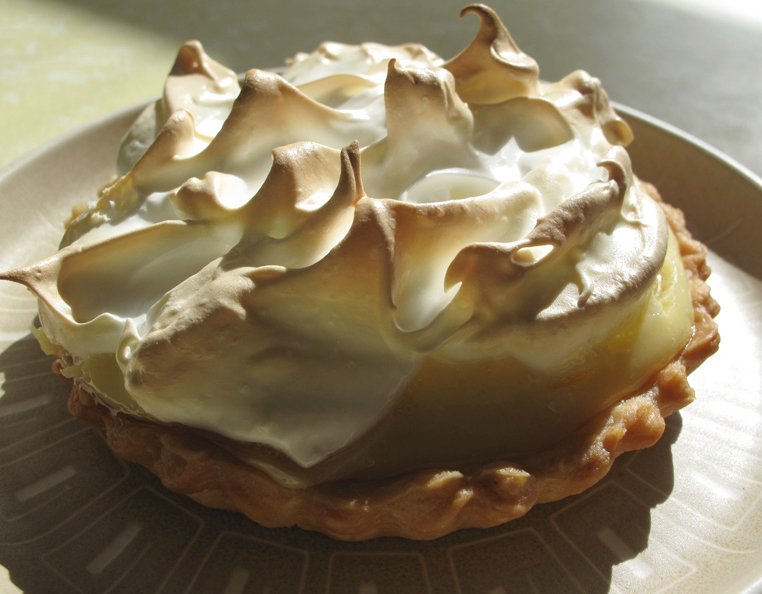 There are so many sweet lemony concoctions that pass as lemon meringue pie. Pastry base vs biscuit base. Tangy vs sweet. Meringue that is sky high or just slapped on. I get nervous ordering this if I am out somewhere as its such a let down when the taste isn’t up to scratch. 2/ When something is such a favourite, I actually get a little nervous cooking it. High expectations! 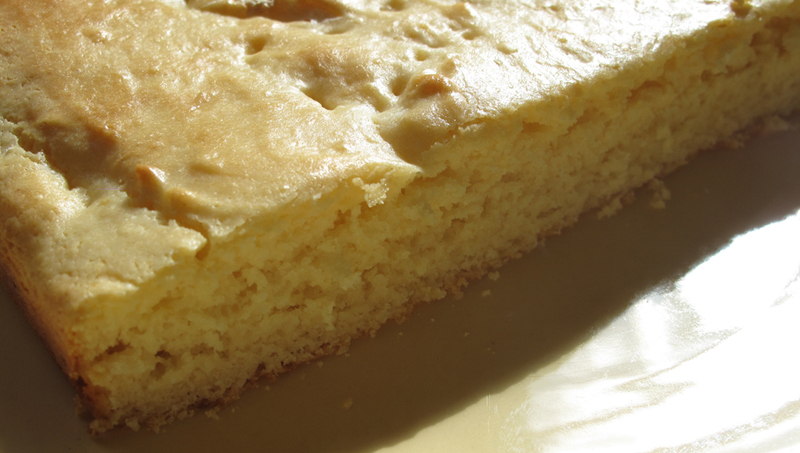 The original recipe calls for a biscuit crumb base, but I think the pastry does it more justice though. Knead dough lightly, cover in cling wrap and rest in fridge for about an hour. Roll dough out. Cutting to pie shape (I did individual sized ones), bake blind at 180C. Pastry does shrink a little, so allow room for that. Any left over pastry can be put in the freezer for another time. Add all the ingredients together, combining well, and then carefully spoon into cooked pie shells. In a mixer slowly add sugar to egg whites until forms stiff meringue peaks. Dollop meringue on to lemon mixture in the pie shells, and bake at 180C until peaks start to colour (approx 15 mins). I also had some left over lemon mixture and meringue, so rather than make up more pies I made a Lemon Meringue Cake. Just added a cup or so of S/R flour to the lemon mixture and then folded the meringue through. Whack it in the oven and bake until springs back and golden. Easy- peasy. This entry was posted in Food Glorious Food and tagged cooking, desserts, food, lemon meringue cake, lemon meringue pie, recipes by cityhippyfarmgirl. Bookmark the permalink. This recipe is so similar to the one that’s in my Grans recipe book (the book is made up of handwritten recipes & yellowing cut out’s from magazines) and whenever we make a lemon meringue pie (which is rarely) its always this one. 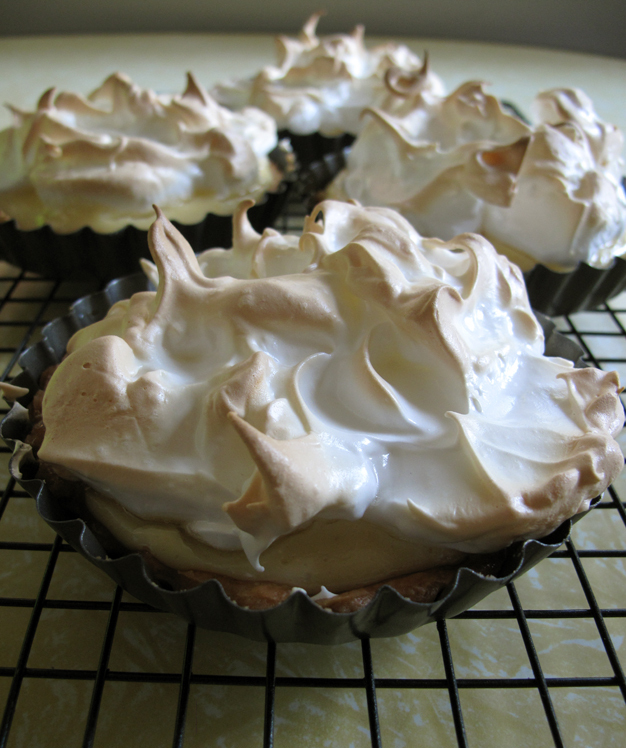 Your so right, lemon meringue’s can be a tricky business when tried out (especially if made commercially). Nice touch making individual pies. There are so many variations of this pie, but this one is a good one in my book. As its just the right amount of lemon, not eye squinty tart and not I’m sure there is lemon in here somewhere…Give it a crack Celia! This is really fun. I will try your recipe soon, as it is a lot different from the one that I use. Here is a post from last Mother’s Day on Lemon Meringue. You seem to like the whipped peaks; I was told to make it as smooth as possible. Why? Who knows. I like the way that yours looks! I add a little Cream of Tartar to the meringue, it seems to keep it a little stiffer and keeps it from weeping. My wife tells me that the little teardrops are desired. I was told they are a bad sign. Who knows? I use regular granulated sugar in the meringue, I mix it in right away so that it dissolves. The condensed milk is an interesting twist. Since the time of this post, I have taken to making vodka crust! For 2 pies, that is 2 5/8ths cups of flour, two tablespoons of sugar, a quarter teaspoon of salt a stick and a half of very soft butter, and a half stick of lard. Once these are mixed until grainy, I add one quarter cup of vodka for the easiest dough I have ever rolled out. When you pre-bake the crust, the vodka is driven off, making for a suspicious smelling house! Thanks! I wish we could make and trade slices, but I guess recipes will have to do. And a big HI! to Joanne and Celia if they stop by your web site- both are Mellow Bakers. Hi Steve. Vodka pastry?…Now I’m intrigued. I have been doing a few alcoholic recipes lately and I might have to give this one a go. I know my pastry is always better if I put the vinegar in it, but vodka, thats a whole other level. It would be great if we could trade slices! My husband not so much. In fact, the first one I made was when we were first married. He took a bite and put down his fork and with a puzzled look on his face, asked,”Where’s the banana?”. It turns out that his mother ( who was Hungarian and never learned to read or speak English) tried to make pies like the ladies at the church in Canada that they attended. But she mixed up the recipes for banana creme and lemon meringue- so she sliced bananas onto the crust of the lemon meringue. None of her family ever told her of her mistake, they just got used to eating them that way. If I was a good wife, I would have baked him his pie with bananas on the bottom- but I truly hate bananas. Anyway- I am going to make a lemon meringue pie this week- I like the individual pie idea- maybe I’ll put a banana on one of them. Oh, my that looks soooo wonderful, Brydie!! This is one of my favourite desserts and I would have to agree with you on the pastry base. Plus I am won over with anything containing condensed milk 🙂 The vinegar is interesting, I haven’t heard of this before and I like your way of using up the leftover ingredients! MMmm, condensed milk. Its goodness in a can isn’t it… a teaspoon and a can, and I’m away…oh! I hadn’t heard of vinegar in the pastry until I read the Bourke Street Bakery Cookbook- they do it for both savoury and sweet. No idea why it works, but my pastries haven’t been without it since and a lot better for it. Wow, I love lemon meringue pie! Everytime I pass the patisserie on the top floor of Eastgardens I always buy one and eat it with unabashed joy. My partner finds it disgusting how I eat it. kiki. too bad. I am bookmarking this recipe!. Looks divine! Top floor at eastgardens? I will have to keep my eye out. I like to…No. I NEED to know where these sorts of things are. Joanna in my dining area I have a framed retro picture of lemon meringue pie 25c. Why? As it makes me smile every time I look at it, even though I’ve had it for ages. Lemon meringue pie its the Queen of pies! I could have made the peaks a little peakier, but there was an urgency to my hands..I wanted them in the oven and in my belly asap. My husband assured me he didn’t like Lemon Meringue Pie and then fought me for the last pie once they were made…ah, the power of the pie. That is singularly THE most delicious-looking lemon meringue pie I have ever spied. I am now desperate to make it. And I have everything necessary! Sadly my oven door glass exploded yesterday so all baking is on hold… sob… better for my waist though, as I’ve still been living it up on cinnamon scrolls. It is my favorite desert .I love the lemon pie.You share such a yummy dish with us.Thanks for the sharing this amazing recipe with us. How impressive – I have never dared branch into lemon meringue but you have done a wonderful job!